The Grandios is duly named for its expansive interior and sophsticated design. 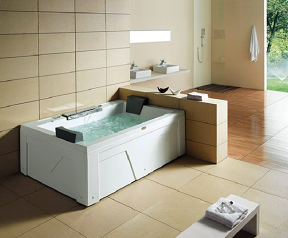 Let the contoured seating, upgraded pillows and waterfall spout immerse you in complete relaxation. 52" x 71" x 26"